Mariko started watching “Bayside Shakedown 2” on TV Japan and noticed there were English subtitles on it, so invited me to join her. It’s a cop movie about a local precinct (Odaiba) which comes under control of the Metropolitan Police Department to solve a murder. The plot was pretty bad actually, with a lot of things that didn’t make sense. The cops were so stupid and it was frustrating the way they acted. At least there were a few funny parts in it, but the film was way too long and dragged-out. 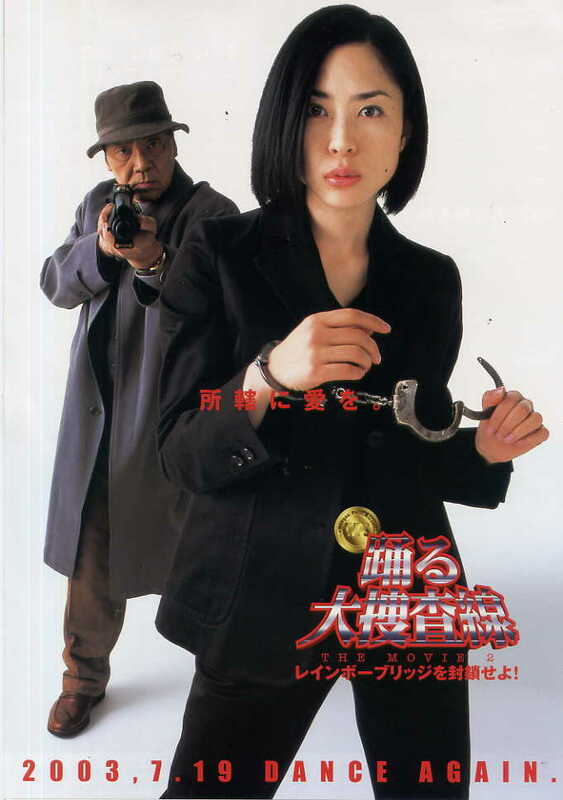 Thinking about detective stories, I think the drama “Shinzanmono” is much better and smarter. I can’t recommend Bayside Shakedown 2 unless you have nothing else to watch.